Fred B. Cole spent 32 years on the air in Boston on WNAC and WBZ in the late 30s-early 40s and on WHDH, where he hosted the midday show for 21 years. He was a huge proponent of the Big Band sound. He also live remotes from A&P Supermarkets (“The Fred B. Cole Road Show”) where listeners could stop by and watch him do the show while they shopped. Fred B. Cole was inducted into the Massachusetts Broadcasters Hall of Fame in 2007. He died later that year at the age of 92. Fred B. Cole was born in Fitchburg in 1915 but spent almost his entire life living in Hingham. He graduated from Thayer Academy and Leland Powers School. In 1935, while looking for a job, Fred hit a red light on Commonwealth Ave right in front of the WNAC studios in Kenmore Square. He parked, went in, and was hired.Two years later he went to WBZ and from the roof of the Ritz Carlton he broadcast live performances by Glenn Miller, Benny Goodman, Artie Shaw, Guy Lombardo and many more famous names from the era. Fred became a huge fan of the Big Band sound and wound up going to Calfornia as the announcer for Tommy Dorsey’s NBC Network radio show. Then on to New York City. In 1946 he was hired by WHDH-AM where he hosted middays and often did live remotes from A&P Supermarkets (“The Fred B. Cole Road Show”) where listeners could stop by and watch him do the show while they shopped. Future Massachusetts Broadcasters Hall of Famers Ed Perry and Sam Kopper were among the kids who’d knock on the door of Fred’s remote studios and ask to come in. He’s usually say yes. Fred remained at WHDH for 21 years, but by 1967 the audience had lost it’s taste for Big Band music and the station started playing newer pop songs and even some softer rock-n-roll by acts like the 5th Dimension and the Righteous Brothers. 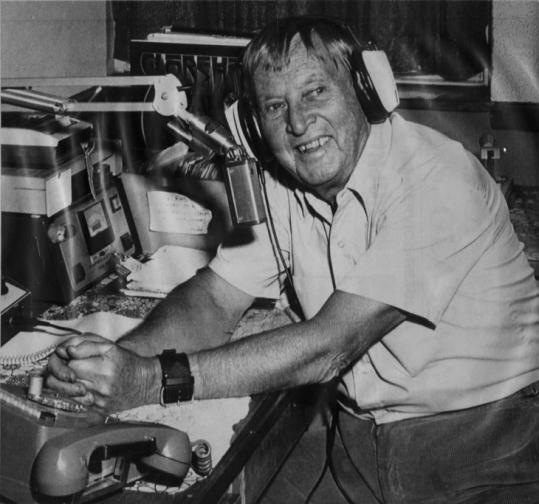 The Fred B. Cole Show was cancelled despite an impressive outcry from his listeners.